Over the last few years we have developed our digital platform and taken it some innovative directions. We have designed it as to accumulate info from a wide variety of sources and assimilate it in a visually compelling manner. It’s intended to be enjoyable on a big smart TV in your living room to and handheld device. It is published and distributed nationally and enables serendipitous discovery. Our Wish Books and Digital Brochures are now presented inside our NewsPixels. Enjoy. Our community is filled with artisans, craftspeople and small businesses. This platform is designed to make more people nationally aware of their efforts. Offering an easy, modern way to do business with any of them per your ‘wish’. 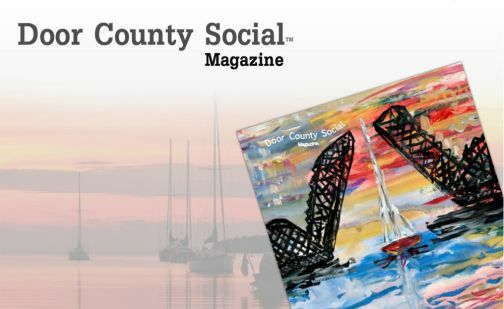 Presented by TheDoorCountySocialNetwork.com. We feel or sense that 99% of the people that love Door County can’t be here 99% of the time. This and our other efforts is to allow those to so (dream & interact) from anywhere 24/7. This Wish Book is published and distributed nationally for discovery and interaction for and on any device from mobile to a big smart screen T.V. Our community is filled with artisans, craftspeople and small businesses. This Wish Book is designed to make more people nationally aware of their efforts. Offering an easy, modern way to do business with any of them per your ‘wish’. Presented by TheDoorCountySocialNetwork.com. 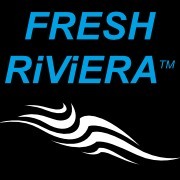 eTNT Digital recently completed a photo shoot for the Fresh Riviera Clothing brand in Door County. eTNT created this video marking the day. The video will be marketed through our various national channels. Within the video there are live links to enable real time intention to learn more, to browse or shop 24/7 from anywhere worldwide. Digital ad buys. We have had tremendous success with continuous targeted interactive digital media buys through our proprietary Door County Social Network. 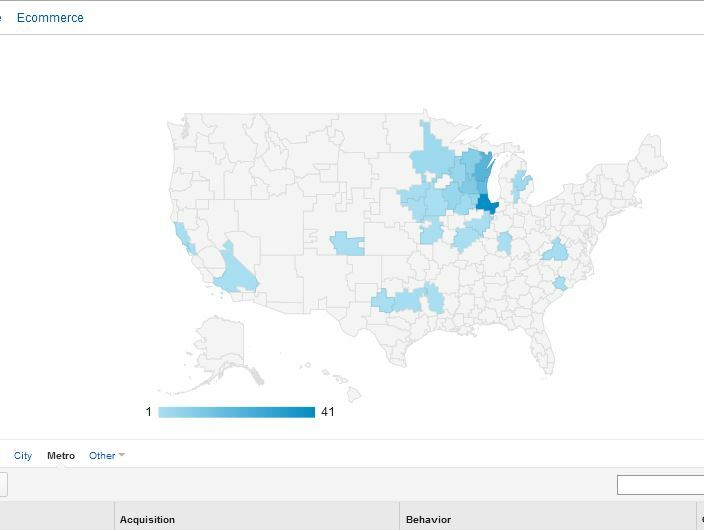 The following image represents regional/national activity of ‘one’ days media buy for this property through our network to and by stated Door County fans. Running almost 100% occupancy summer 2015. Disclaimer: This is one our family of businesses. As a family we have been in business in Door County for 50 years. Modern website. Latest platform enabled for all devices. Especially mobile. Digital Brochure – An ‘Interactive’ Brochure. Creation and set for local, regional and national discover. Designed As Form Of Entertainment For The National/Global Door County Enthusiast. As noted, 99% of the people that love Door County aren’t here 99% of the time. To help generations discover and interact with (shop) 24/7 365 worldwide. Most importantly keep that fire alive and help build a pent up demand for all things Door County. Shopping site for the nation to reach back and shop here while gone! www.ShopAllDoorCounty.com™ est. 2012 Available to most all businesses in DC to leverage. The Door County Social Network™. A lifestyle brand built from scratch. Building social engagement nationally since 2007. Designed as a form of entertainment for browser’s and buyers. Designed a business model around this multi partner digital effort. Obtained a special domain for this effort. PELLETIERS FISH BOIL FISH CREEK. We did this video for our friends at Pelletiers. ShopAllDoorCounty.com™ offers a global, collective Door County related eCommerce solution for the world to discover and enjoy all things emanating from and happening in Door County, Wisconsin, U.S.A. This is a tool for any on the peninsula to use as another sales channel to expose their offerings to a new audience. Aiming for a sense of discovery and critical mass – ShopAllDoorCounty.com™ intends to create a critical mass of offerings emanating from Door County, these could be products, services, experiences, tickets for events, artwork, photography, ebooks, collectables, gift certificates and the work of our tremendous non-profits. This collection of Door County goods will help lead to more discovery and in time more pleasure for all involved. Creative business model designed so that we are only paid on a sale. Door County Digital Brochures™ . 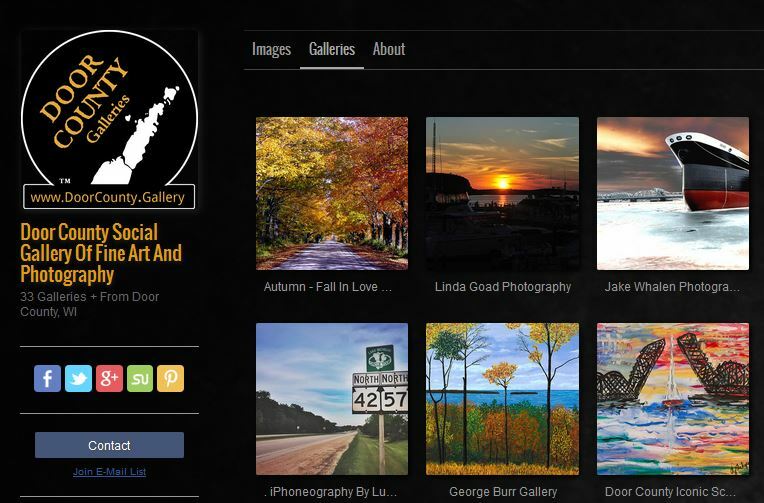 www.DoorCountyDreaming.com™ This is a special project squarely aimed at the future. No one in the near future is going to walk around with a wade of brochures in his pocket. Conceived and developed in house by our Digital Innovation Agency. Designed the business model behind it. Designed to be discovered and enable the serendipitous joy of finding things about our community and offerings one didn’t know existed. Allowing for real time action – meaning someone is in say Barrington, IL dreaming about Door County on a Friday night. They could turn on the giant flat screen and flip through our really cool digital brochure grid and link through a items on interest in real time maybe by tickets to a play at 7:30, by a photo print at 7:45, and a hotel package at 8. 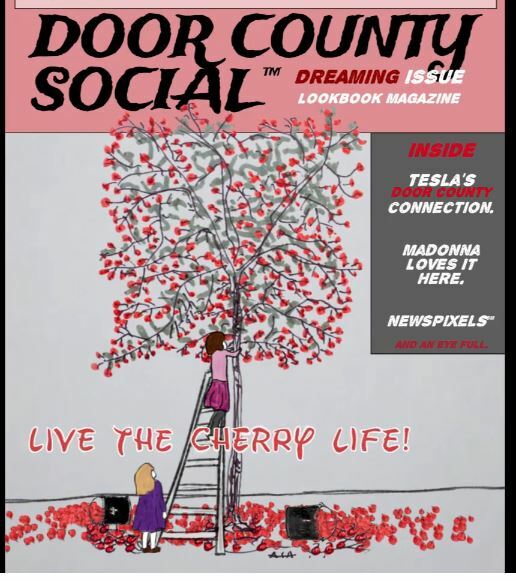 We commissioned Door County’s first interactive digital magazine in 2012. On it’s cover it had one of the first animated covers (see sample) 8 sec flash animation [19 Feb 14] on any digital magazine in the world. Seen in more than 4000 cities. Over-sight and management of about 17 people involved. From editors to writers, photographers, videographers, vendors sub contractors. Content distribution and global marketing. Door County Social’s 2nd. Digital Magazine. Dreaming Issue. This one was even more fun. About 21 people involved. Got lots of attention worldwide. Our two daughters are animated into the cover! eTnT Digital™ itself was developed to support our families Door County business interests as well as select limited clients. Now taking a few more select clients while continuing to support the efforts of Door County Social™ and Fresh Riviera™.